Keep it Low is a cozy 2 days Indoor Festival with family character and loads of good vibes. 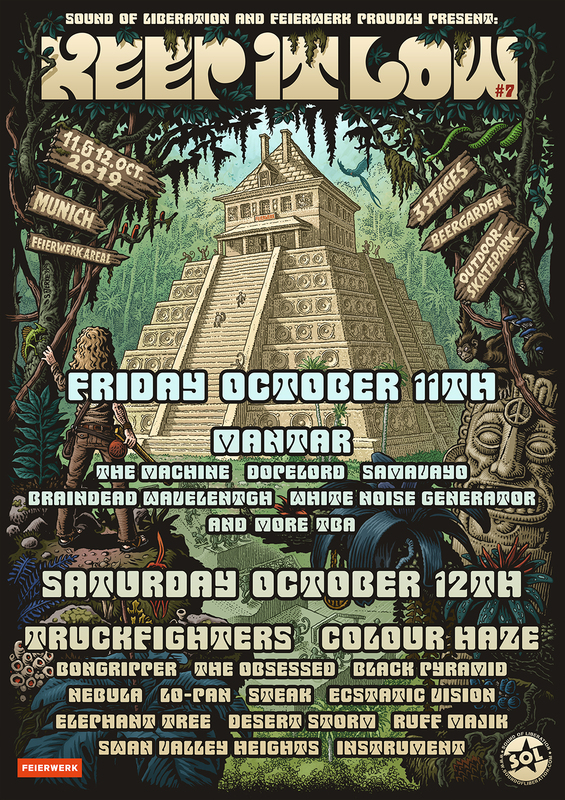 Fans of Heavy Rock, Psychedelic, Doom, Stoner and Rock´n Roll should mark 11 & 12 October 2019 in their calendar. 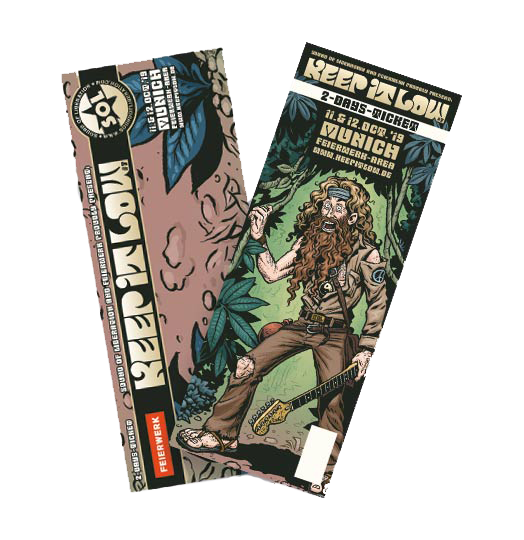 The first six editions were sold out and the upcoming 7th edition also see an excellent line up!! The "Feierwerk"-Areal is only 2 subway stations away from the centre of Munich. KIL 2019 greets with 3 stages and around 20 bands, outside beergarden & skatepark. 2-day passes are SOLD OUT but single day tickets are now available!